By sheer chance, I have three books coming out in the coming months: two new ones, and one fully revised and updated. It wasn’t planned that way, but that’s how the timing has worked out. I’ll be giving talks and readings related to all of them this autumn: once I have full details I’ll post a new ‘Readings and Talks’ page with times, places and other details. In August, Sigma Press is bringing out the 3rd edition of my Literary Guide to the Lake District. The book, which won Lakeland Book of the Year award when first published, is a comprehensive guide to where authors have lived or stayed and what they have written about the Lakes from ancient times up to the present. Besides thorough coverage of places connected with Wordsworth, Coleridge, Beatrix Potter, Arthur Ransome and all the usual suspects, it deals with the Lakeland places visited by D.H. Lawrence, Thomas Hardy, Edward Thomas and countless other poets, novelists and writers. Plentifully illustrated, and with maps, it’s geographically arranged by area so you can follow its routes, or browse in it as you travel. Or just enjoy it as armchair tourism! For this new edition I’ve re-checked the routes, added new material and rather than try to give opening times I’ve added the web addresses of places open to the public. 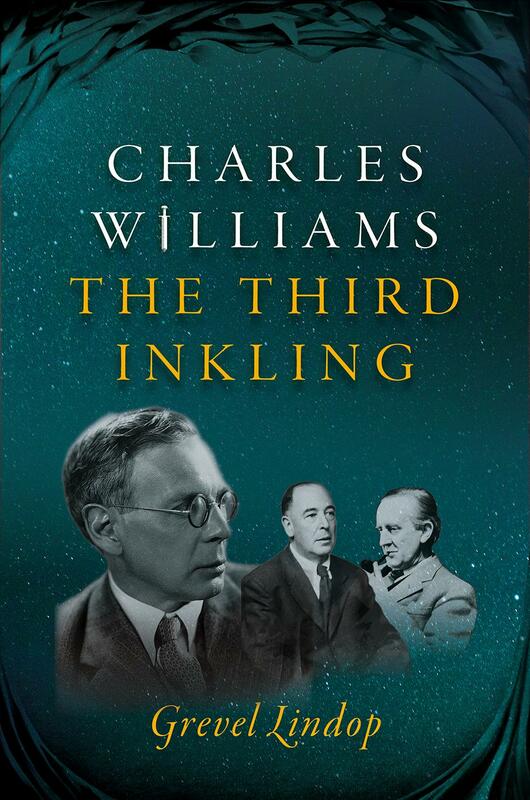 I’m proud that the book on first appearance was described by Melvyn Bragg as ‘a treat’ and ‘a book-lover’s feast’. I think the new edition presents it in its best shape ever. I’ll put ordering details here as soon as I have them: design has been finalised and proofs returned but I see Sigma haven’t got the book in their online catalogue yet. Maybe there’s a delay? Updates as soon as I have them! 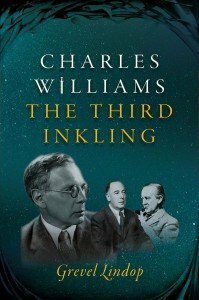 “Novelist, poet, theologian, magician, and guru, Charles Williams was an extraordinary and controversial figure who was a central member of the Inklings – the group of Oxford writers that included C.S. Lewis and J. R. R. Tolkien. It’s my first full-length book of poems since Playing With Fire in 2006. This time the themes have a distinctly ‘lunar’ tinge to them – hence the title. 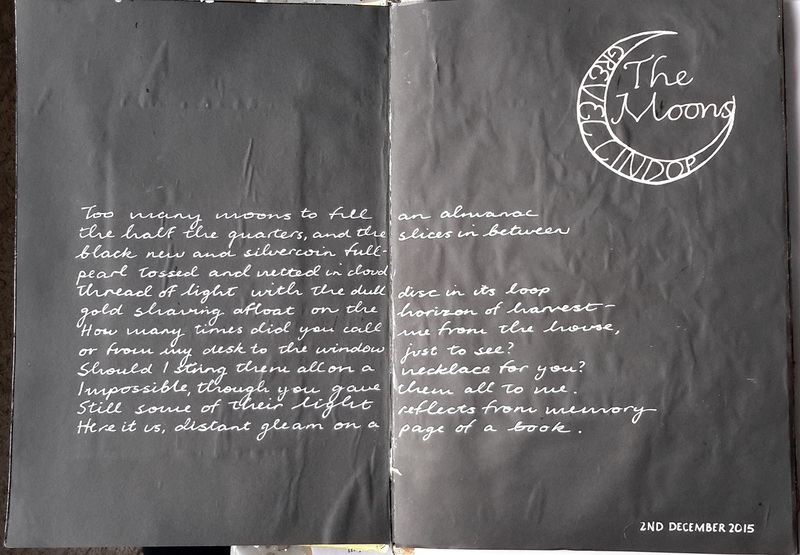 Many of the poems are set at night, or they deal with dreams, visions, ghosts, or the magical. 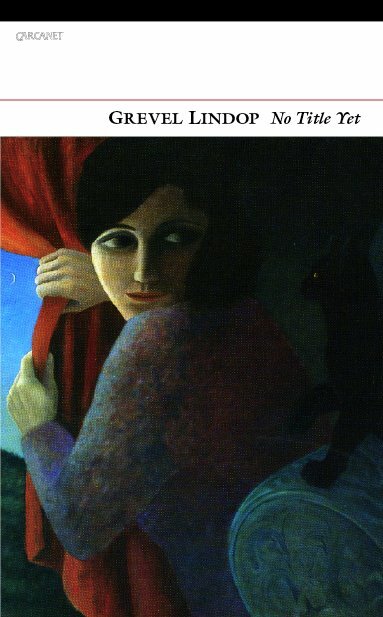 ‘Show Me the Moon’ by Linda Cooper – cover design for ‘Luna Park’ (note the ‘no title yet’ space filler – only temporary!) Design by Stephen Raw. Not that the title comes directly from moon matters. Luna Park was actually the name of a derelict funfair I was shown when I visited Sydney in 2001. It was beside Sydney Harbour and it fascinated me: all those slightly battered rides and attractions slightly dilapidated and shut off behind chain link fencing. It stuck in my memory. But it struck me that ‘Luna Park’ could also be a name for the territory of the moon and all things connected therewith. And I found the delightfully strange painting reproduced above by my friend the Cumbrian artist Linda Cooper and realised it would make the perfect cover image. Looking at it, you don’t necessarily see the cat at once, but then you follow the woman’s eyes and see that there’s a black cat and she is pulling back the curtain to let it see the moon. Fascinating. I’ll put in a couple of poems from the book below. 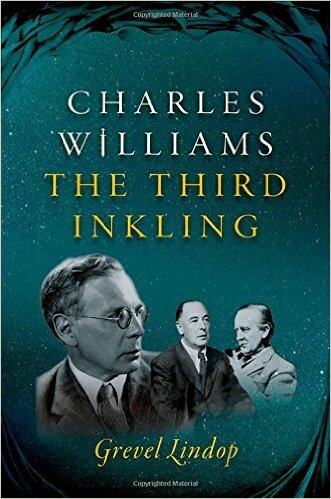 The first, ‘Cosmos’, was written when I was sitting up late at night in my room in a farmhouse in the Duddon Valley in the Lake District. It was first published in the magazine Resurgence, chosen by my friend Peter Abbs, the poetry editor. Between Orion and Gemini, an almost-full moon. Wrinkled tidewater tilting at the lips of Morecambe Bay. Galaxies of cow parsley edging the valley fields. Slow explosions of lichen on the fellside boulders. ancient growth-rings cupping a still more ancient hollow. spun flat, cut to rippled squares, set in the dusty casement. Grain of the living oak, stopped dead in your tabletop. Cobweb at the table’s corner a map of skewed co-ordinates. Haverigg’s twinkling windfarm, buried cables along the Duddon Valley. Your mobile: lit menu, notional time, no signal. The mountain: against the black of the sky, a blacker black. The Troytown labyrinth of your fingerprint: Chartres maze stretched to an oval. The fieldpaths crisscrossing in the palm of your hand. gold keel ploughing an ocean of churned Norway spruce. the dark that cannot be seen, the space that is everything else. The second, ‘The Maldon Hawk’, was suggested by the Old English poem The Battle of Maldon, in which an Anglo-Saxon nobleman sends his falcon to fly free while he himself goes to battle with the Norsemen. If he survives he will call the hawk back; but we know he won’t survive. The poem gives the hawk’s view. It was first published in an anthology of poets with Oxford connections called Initiates, edited by Jane Draycott, a poet I greatly admire. unwanted as men turned to their war. crowd the shallows of the deepening tide. in the hour when the bright dove fled the man-flung hawk. death-besotted warriors on their way to darkness. nameless and eyeless among the iron helmets. I am a word forgotten from his story. He is a landmark fading from my sight. will I perch on that wrist, grasp the bone beneath.